Ladies, one thing I think we have all experienced one time or another in our lives is the struggle to get the perfect brows. Whether they are too thick, too unruly, too thin... it can be frustrating to figure out what to do with those things. Well, there are products that make 'taming' your brows easy and less of a hassle. Enter Merle Norman of Seneca... their beauty experts can help you find the right products and shades for your brows and teach you how to use them. If you live in the upstate, head to Merle Norman of Seneca tomorrow for their all day brow event. Meet with a beauty expert to find out what brow products are best for you...or, try out the newest beauty trend, brow threading. They are taking appointments starting at 10:00am (hurry and get yours before they get booked up). It's only $15.00 for the threading or get a Merle Norman Brow package of threading, brow pencil or powder, and brow sealer for $37.00. 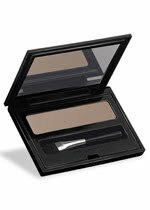 Merle Norman of Seneca would like to treat TWO very lucky Clemson Girls to a sample of their great brow beauty products. 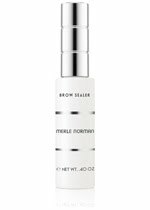 Two winners will each win one of Merle Norman's brow powders (for filling in those thin spots) and one of their brow sealers (a little mascara like wand with clear sealer that brushes and tames those brows). This is a great prize! 'Like' Merle Norman on Facebook, then post on their wall "Clemson Girl sent me!" (1 entry). Tweet about this giveaway on Twitter...include a link to the giveaway and copy @clemsongirl (1 entry). Deadline for all entries is tonight, May 4 at 7pm EST. We will compile all of the entries, randomly draw TWO winners and announce them on the blog soon after. Make sure you visit the blog later tonight or tomorrow to see if you've won! Thanks to Merle Norman of Seneca for sponsoring today's giveaway! Good lucky and TGIF! Kelli B., Florence, S.C. Go Tigers! Posted about giveaway on FB! Laura R, Anderson SC! GO Tigers!